Just because she lost 50 pounds doesn't mean she's done! Karina's muscle-building training regimen is heavy, tough, and delivers killer results. Check it out! 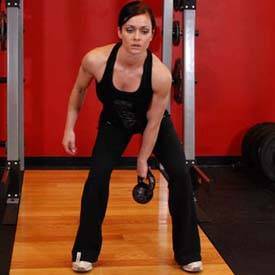 You don't lose 50 pounds or become a finalist for Bodybuilding.com's BodySpace Spokesmodel Search by lifting a dumbbell a few times or spending 20 minutes on the elliptical. You get there by working hard and staying focused. That's exactly what Karina does days six days per week. She's a personal trainer, yes, and spends her days in the gym helping her clients meet their fitness and physique goals, but she also spends a lot of time working toward her own goals. This ball of energy doesn't need more than a day of rest each week. Right now, Karina trains on a six-day split. She trains one body part per day and leaves Sunday for rest. She prefers to train in the morning when she has the most energy, but can fit in her workout whenever she has time. "My workouts are usually between 50-75 minutes, including a 10-minute warm-up on the treadmill." This 10-minute run is the only cardio Karina usually does during the week. "If I'm feeling extra ambitious, I may throw in 10-15 minutes of high intensity interval training (HIIT) after a lifting session, or an outdoor run if the weather is nice, but that's not a usual thing." Karina also likes to hammer her legs. She trains them twice per week. One day is dedicated to lifting with heavy weight for low reps, and the other day is spent doing lighter weight for more reps with added plyometric movements. No skinny quads on this girl! 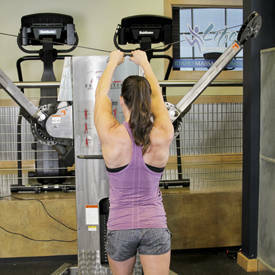 To build stronger shoulders, Karina trains with a combination of Olympic-style movements and isolation exercises. "I've found this to be the best combination for size," she says. Right now, Karina is adding more muscle to her powerful frame. 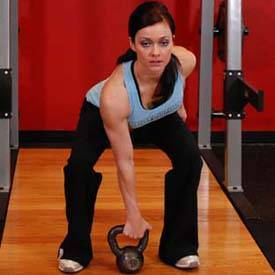 Most of her workouts consist of four sets of lower reps with heavy weight. 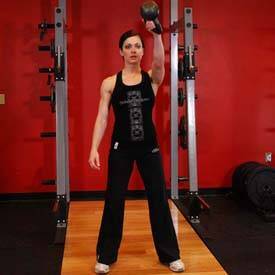 Every few weeks, however, she does an entire week of high-rep, light-weight workouts to shock her body. 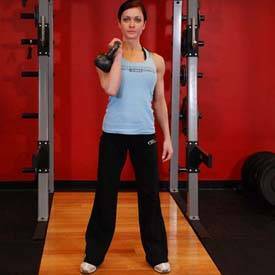 Regardless of the workout or rep range, Karina always includes supersets. "Supersets maximize time, efficiency, and performance," she says.